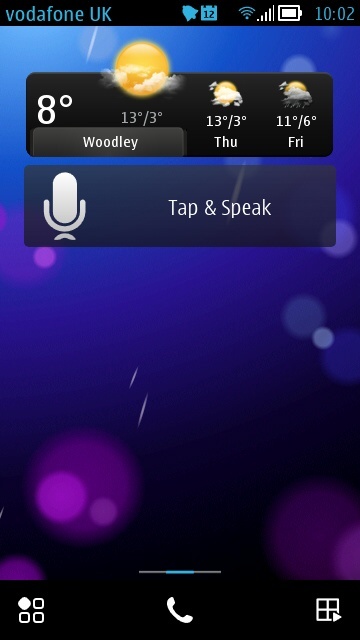 In all the fuss over Apple's (effectively bought in) Siri and Samsung's (effectively bought in) S-voice, Symbian owners eager for a little voice recognition action shouldn't forget about Vlingo, free for our OS and recently updated to v2.4.50, bringing better recognition, new settings and under the hood improvements. Some screenshots and examples below, just to refresh your memory! We last mentioned Vlingo here on AAS back in September 2011, when the utility had just gone 'free' and was at v1.7.425 - there have been several updates since then, taking us up to today and v2.4.50, presumably some of the updates are to maintain compatibility with improvements at the server side, which is where the actual voice recognition takes place. 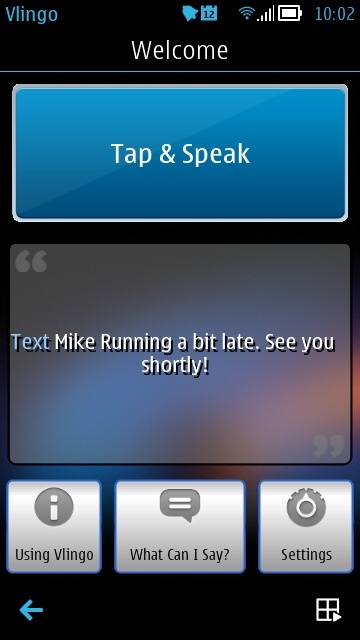 Just a few screenshots to whet your appetite - if you fancy the idea of voice recognition and haven't tried Vlingo yet then there's no better time - here's Vlingo in the Nokia Store. Vlingo's Settings panes keep on growing. 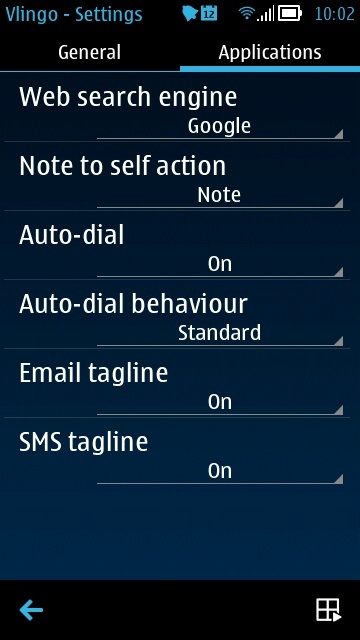 Of note here is that you can change the default web search engine and you can opt to optimise the recognition samples for speed or for lower data bandwidth, depending on the speed and expense of your data connection; also note the homescreen widget, providing a quick and convenient way into Vlingo. Background noise. Away from cosy reviewer office tests, there's traffic noise, other people talking nearby, glasses clattering and music playing down the pub, wind gusts, in-car rumble and engine noise. Although both Vlingo (above) and Siri seem to cope surprisingly well with some degree of background noise, it's ultimately a problem and a factor in recognition results being less than perfect. Broadcast speech. TV sets and radios playing, most of which is speech, usually at reasonable volume. And it plays havoc with Vlingo, Siri or similar. Can you get away from the TV and radio? Accents. Current voice systems just about recognise classical American, English and some European tongues. But even I have trouble understanding many of the dialects and accents in my own country, I'm sure it's the same for many others. How on earth will voice software cope? Given huge resources and enough samples, it could be done. But not... yet. Social factors. Testing all this in our reviewer office is fine. Testing it at home is fine - and may well save you some time. But what about on the train, on the bus, in the airport lounge, on the plane, in the open plan office, and so on? Your chatter into your phone will be bad enough for your companions. What about their chatter on all their voice interrogated phones too? It'll be an audio/aural nightmare! Bandwidth. All current systems farm out most of the recognition to servers online. Which means you need a fairly fast Internet connection on your phone for voice interrogation to work. Away from home/office wi-fi, you'd better be in an urban area and hope for a decent 3.5G connection. Anything less and it'd be far faster to type what you wanted to do or to enter. Mischevious offspring. By which I mean your kids. Whenever there's any kind of voice recognition going on, they love, simplylove messing around "Fifteen, chickens, octopus...", talking nonsense at the same time as you, to try and throw the software off. Usually successfully!